Over and over again, the NBA has shown that they don’t care about defense. James Harden can’t be bothered to guard anyone but he’s the reigning MVP. The game is about scoring, I understand that, but isn’t it important to be able to stop your opponent from scoring? Ben Wallace was never a scoring threat. His career high in points per game was 9.7. That’s not an impressive number, but what he lacked in scoring he made up for in rebounding and defense. His numbers are lackluster compared to how crucial he was in helping the Detroit Pistons win the 2004 championship. For his career, Wallace averaged 5.7 points, 9.6 rebounds, 1.3 assists, 1.3 steals, and 2.0 blocks per game. Over his best five year period (2000-2005), he averaged 13.1 rebounds, 1.5 steals, and 2.9 blocks per game. Since the inception of the block and steal statistics, only 4 players have averaged 12.4 rebounds, 1.4 steals, and 3.0 blocks or more in a season. The first three (Hakeem Olajuwon, David Robinson, and Kareem Abdul-Jabbar) are in the Hall of Fame. The fourth is Ben Wallace. Wallace’s basic stats aren’t much to look at but his defensive stats stand up to the rest of these Hall of Famers. His blocks per game are higher than Rodman and Unseld’s, and his steals per game are higher than everyone else listed. A lot of the time, you have to look past basic stats when defensive players are involved. Wallace was recognized throughout his career as a top defender and player. His 6 All-Defensive selections, 4 Defensive Play of the Year awards, and 5 All-NBA selections are more than enough to put him in the same category or even above some of the Hall of Famers highlighted above. Ben and Dikembe are the only two players in NBA history to earn four Defensive Player of the Year awards. Ben Wallace also touts the highest career defensive box plus/minus of all-time (a stat that has been recorded since 1973). Not only has he collected quite a few individual accolades, he was the anchor for the 2003–04 NBA Champion Detroit Pistons. He averaged 13.6 rebounds during the 04 Finals against Shaquille O’Neal, including 22 boards in the series-clincher. The man contained Shaq in his prime, what more do you want from him? 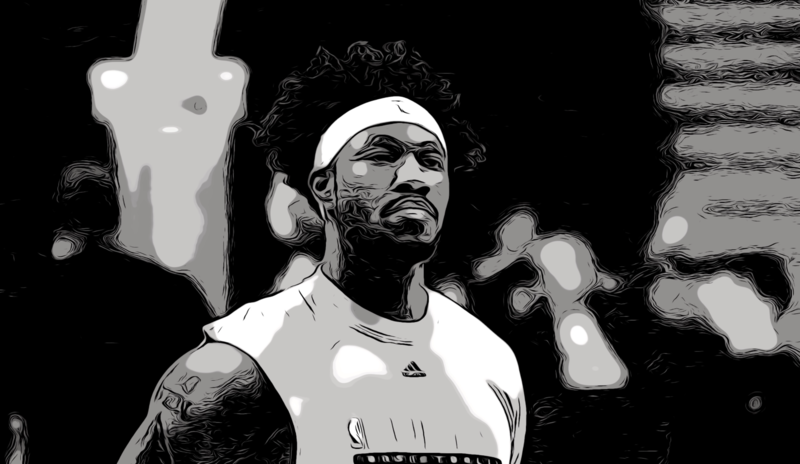 It’s not outrageous to include Ben Wallace in the conversation about the greatest defensive players of all-time, so why isn’t he in the Hall of Fame?